'The Crash' is not without its flaws, but as a dystopian thriller about the dangers of cyber-attacks (and its dramatic economic consequences) it is absolutely worth your time. The Crash is directed by Aram Rappaport and was released on Jan 13th, 2017. 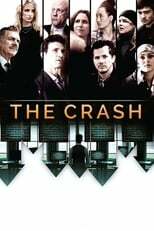 Director Aram Rappaport's Crime & Thriller movie The Crash is produced by Create Entertainment & Windward Entertainment & was released 2017-01-13.